Minny's Chocolate Pie - classic southern chocolate pie. 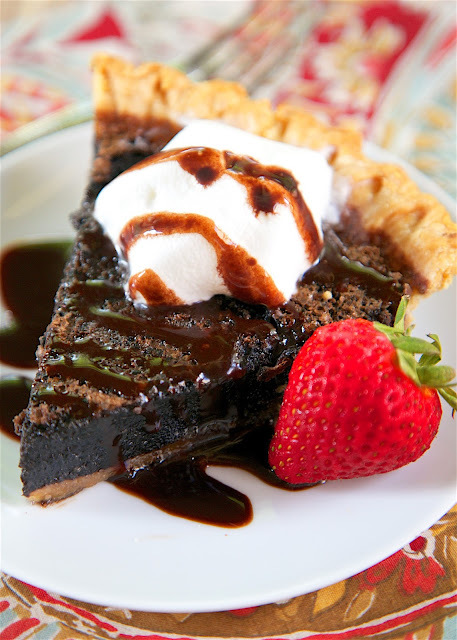 Light and fudgy brownie pie. Only a few simple ingredients - pie crust, sugar, cocoa powder, eggs, vanilla, butter and evaporated milk. Takes a minute to make! The hardest part is waiting on it to cool so you can eat it! Serve with whipped cream or ice cream on top! Great for a potluck! 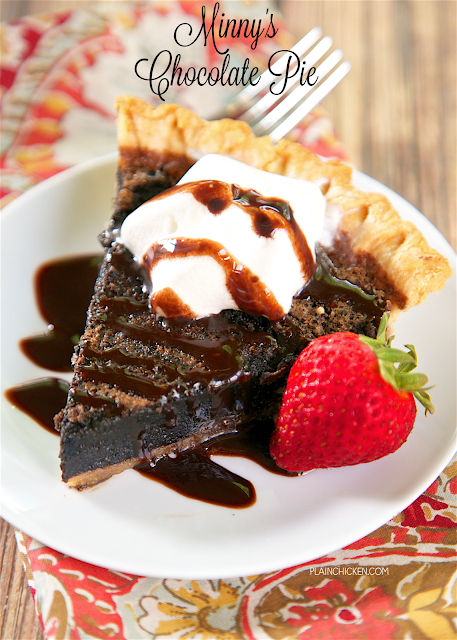 Stop what you are doing and make this Minny’s Chocolate Pie right now! I made this for the 4th of July, and it was SO good! I have a serious weakness for ooey, gooey, fudgy brownies. This is basically a crazy good light and fudgy brownie pie. Crazy good I tell ya! PLUS it was really easy to make. The hardest part is waiting for it to cool so you can eat it. We served the pie with some whipped cream and strawberries. It would also be really good slightly warmed with a scoop of vanilla ice cream. My only disappointment with the pie was that there were no leftovers! Bake pie crust according to package directions. Set aside. In a bowl, whisk together sugar, cocoa powder, butter, eggs, evaporated milk, vanilla and salt. Pour mixture into baked pie shell and bake for an additional 45 minutes. Cool pie on wire rack. Serve with whipped cream or ice cream. Do you think you could put a meringue on this pie? OOhh a meringue on top would be totally awesome, especially if you use a graham cracker crust. Smore Pie. I'm not much of a baker but this looks like something I could even make! Yum! Thinking of using a homemade crust but never have done one before. What would I do?